Help us on our journey to Saint Louis this October. 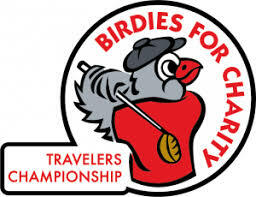 Donate through Birdies for Charities and the Travelers Championship will add 15% to every donation. Print the attached donation form and mail your check to the Travelers Championship. The Travelers Championship is proud to be a PGA TOUR event that donates 100 percent of net proceeds to charity every year. Since 1952, the tournament has given more than $38 million to the community, and in 2017, the Travelers Championship generated more than $1.7 million for 165 charities throughout New England. The tournament is committed to supporting our charitable community through Birdies for Charity and Chip In for Charity. Launched in 2004, Birdies for Charity provides 501(c)(3) organizations an opportunity to raise awareness for its cause. The program is a giving platform that utilizes the excitement around the tournament to help nonprofits in communities across the region raise awareness and funds to support their missions. The Travelers Championship sends 100% of collected donations to the participating charities.